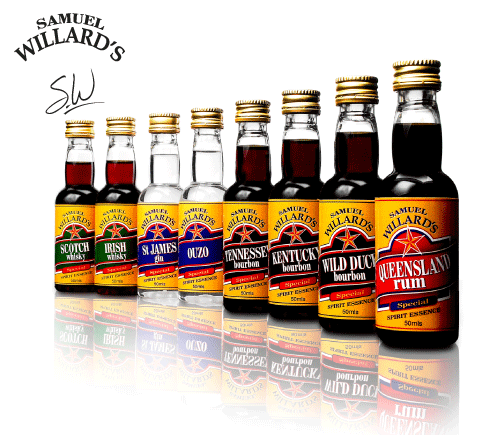 Samuel Willard's – The Essence of Great Drinks! 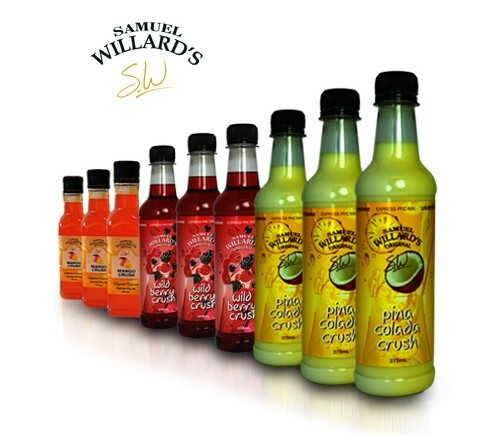 Our Full Range of Flavors! The Gold Star Selections are a real crowd pleaser and they won’t break the bank. 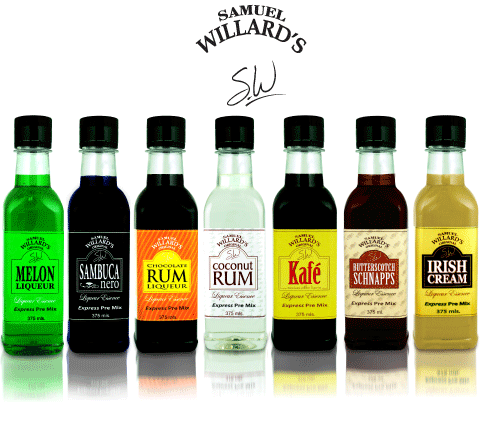 Samuel Willard’s Gold Star essences produce 2250mL of spirit from each 50mL bottle. Part of our original family of selected essence’s, our Premium Selections have continued to prove their quality for more than a decade. 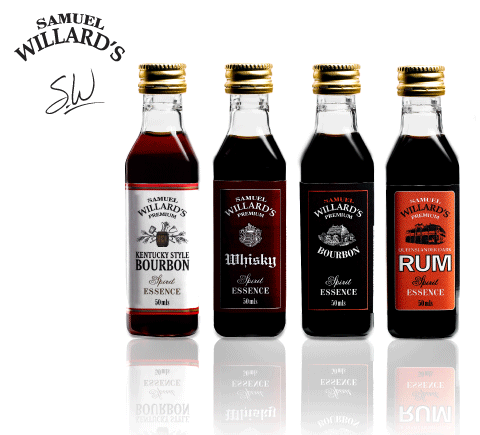 Samuel Willard’s Premium Selections produce 2250mL of spirit from each 50mL bottle of essence. 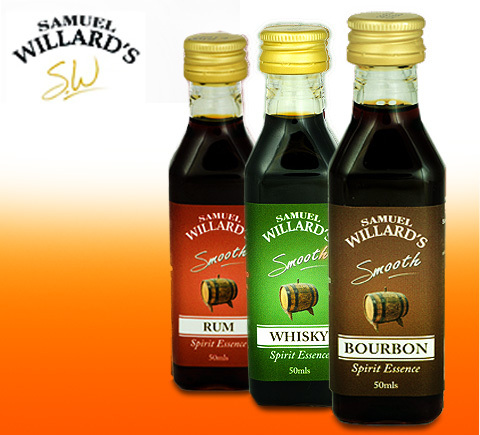 Samuel Willard’s Smooth Selections are exactly that, smooth as silk and guaranteed to please. Each 50mL bottle produces 2250mL of spirits. 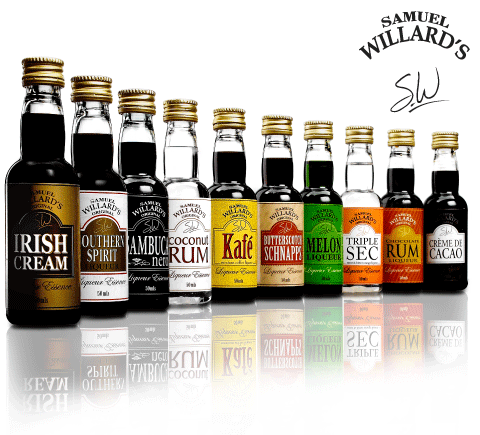 Samuel Willard’s Crush Selections produce 1125mL of spirit from each 375mL bottle. Just add to your alcohol and Shake to Make an amazing cocktail adventure! 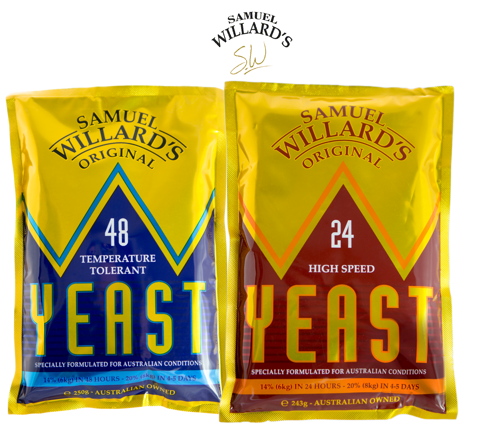 Samuel Willard’s Yeasts are temperature tolerant and have been formulated for Australian conditions, hot or cold, summer and winter. 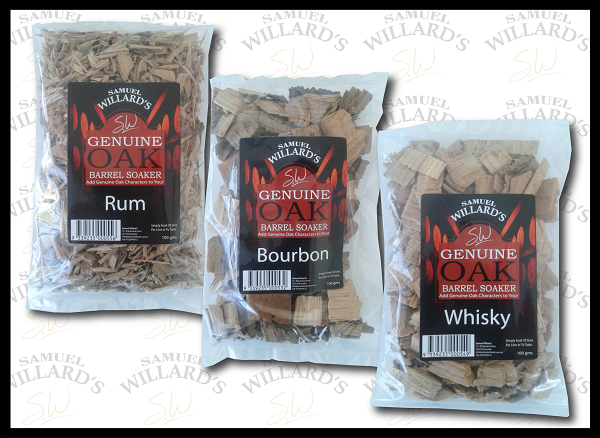 Samuel Willard’s Oak Barrel Chips are made from REAL used oak barrels and have been designed to impart true oak characteristics into your alcohol. Check out our different flavored Oak Chips!